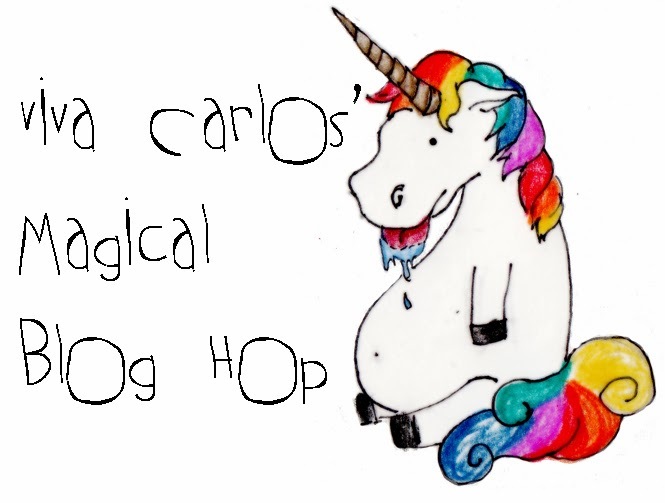 An excellent and timely blog hop from L. Williams at Viva Carlos! I wrote once before about the bits I’ve used for Tristan in the past, and why: Bits I Have Loved. This past Thursday, Tristan’s new bit arrived. 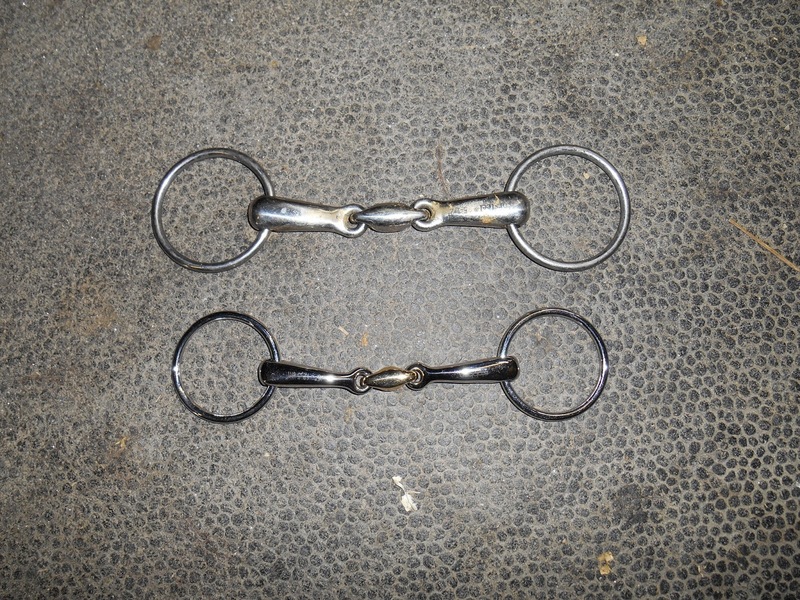 It’s this Stuebben Loose Ring Snaffle, with the copper bean in the middle. I bought it based primarily on the reviews and the measurement. Tristan needed something thinner in his mouth than the JP Korsteel Loose Ring Snaffle that he’d been in for a while. The difference of 4mm (18mm for the JP, 14mm for the Stuebben) doesn’t sound like much, but it’s actually pretty significant! Things I am very happy with: The thinner bit definitely makes a difference. The copper bean definitely makes a difference. In all, an upgrade. The jaw crossing and tongue sticking out were greatly diminished, and he was happy to mouth the copper bean – he was dripping foam more than he ever has! Things I am less happy with: I bought the 5″ despite the nagging feeling in the back of my head that he needed the 5 1/4″, because what 15 hand horse needs a 5 1/4″ bit? My idiot horse, that’s who. Now, it’s not criminally small, but it is right at the edge of acceptable. He did not object dramatically to it. But, especially with the loose rings, it’s a bit too close to the corners of his mouth for my comfort. The good news is I can either return it to Smartpak OR sell it to someone else in the barn, who has a dainty Lusitano mare that has been going in a 6″ (!!!) bit. M. is going to try the bit on the mare this coming week and if it fits her I will sell it to them and order the 5 1/4″ for Tristan. Problem solved!